Cropsey Prepares For A Return To Summer Camp In New Film! Back in 1981 the classic Horror film THE BURNING was released which introduced us to a killer named Cropsey who took revenge on teenagers at a summer camp due to a prank that went terribly wrong. We have learned that Dreamworks and Frank Marshall are now working on developing a Horror/thriller titled CROPSEY. The studio is trying to negotiate a deal based on a pitch which was made by Richard Naing and Ian Goldberg, who are also responsible for the screenplay. "CROPSEY will center on a group of adolescents at a summer camp haunted by an urban legend that dates back to the Colonial Period. DreamWorks is developing the story as an Amblin-esque project mixing horror and humor — a la GREMLINS and THE GOONIES." The DreamWorks project is unrelated to the 2009 documentary CROPSEY, which was written and directed by Joshua Zeman and Barbara Brancaccio about a convicted child kidnapper. 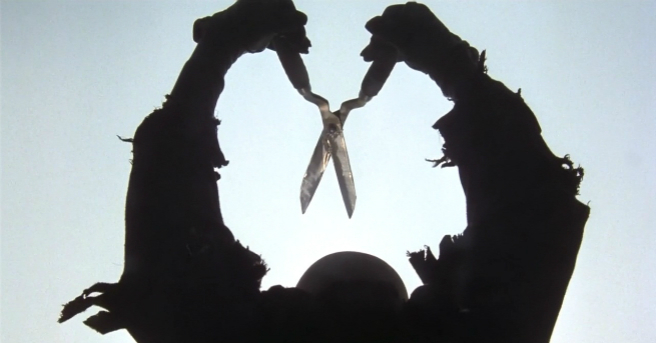 We will continue to bring you more on the new CROPSEY movie as it unfolds.